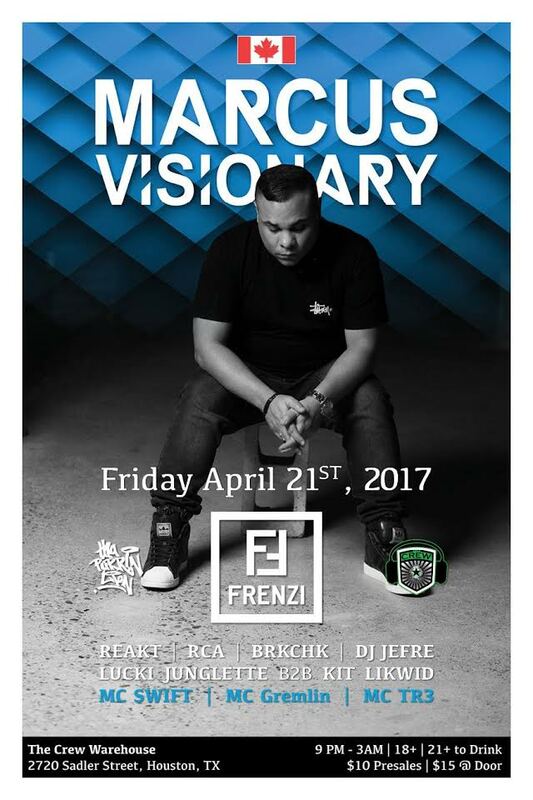 FRENZI with Marcus Visionary Hosted by The Crew TONIGHT!! FRENZI, the longest running Drum & Bass monthly in Houston, returns this Friday! Established in 1995, Tha Purrin Lion was originally formed to put Jungle and Drum & Bass in the forefront of the dance music scene in Houston, and not just some random curiosity relegated to side rooms at raves. 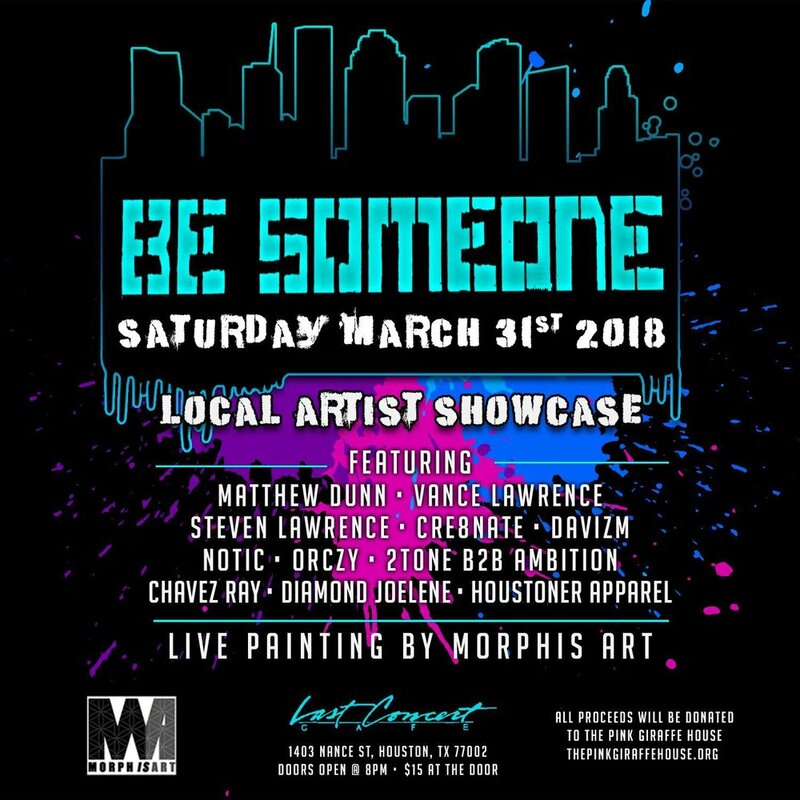 Over the years Tha Purrin Lion has been responsible for creating a Drum & Bass culture that has permeated throughout Houston and Texas. After taking a hiatus, Tha Purrin Lion is joining forces with The Crew to bring you a special warehouse edition of FRENZI featuring Marcus Visionary from Toronto, Canada. He'll be joined behind the decks by DJ REAKT visiting from London; RCA of Two:Tone Drum N Bass in Dallas; and a number of Houston favorites! Marcus Visionary's special 2 hour set this Friday is not one to be missed! Our friends over at Real Music Events are bringing the OG Mushroom Jazz master Mark Farina this Friday to Boondocks. If you have never caught a Mark Farina set before you are really missing out. Part man, part machine, part #airportninja… ALL original. DJ, producer and multiple label owner:John B is one of electronic music’s most distinctive, creative and consistent contributors. Splicing genre DNA like a modern mad scientist, touring all corners like a D&B missionary; with a sound as sharp as his wardrobe and a vision as defined as his eyeliner, he’s ensured he’s remained a relevant, in-demand and influential source for almost 20 years and has developed one of the most loyal international fanbases in the scene.